For years, I just washed blood stains with my normal laundry...and was never satisfied with the results. Now Ruby's Red Wash helps me with my soiled laundry and gets out fresh or dried blood stains! Can you even believe it!? Read on for my full review of Ruby's Red Wash! 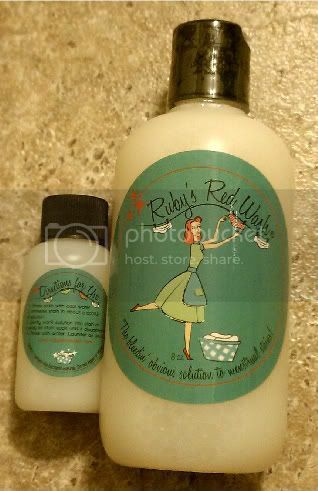 Ruby's Red Wash is an amazing product that has been specifically designed to remove blood and menstrual stains. The wash is formulated to be biodegradable, eco-friendly, safe, non-toxic and contains no harsh chemicals, is not tested on animals, and contains no animal products. 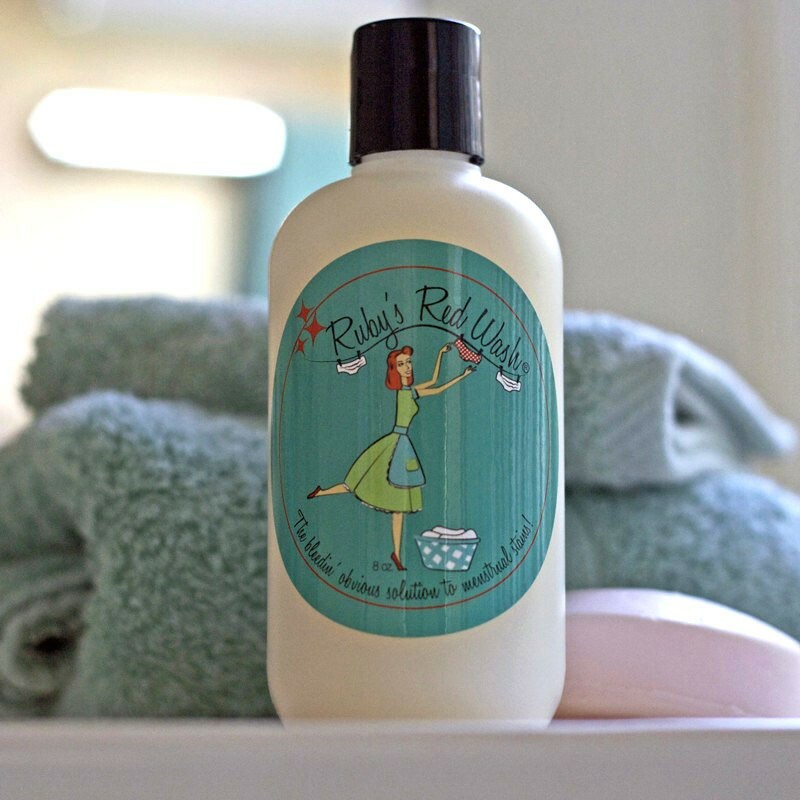 Ruby's Red Wash is designed as a scrub or a soaking solution. It works on dried or fresh stains! I was especially grateful for Ruby's Red Wash for this time when I tried out (and was converted to) Mama Cloth Pads. (See my post on using mama cloth here.) I decided to go the soaking route with cloth pads that had already been washed and dried, to see if Ruby's Red Wash would get out any additional stains. 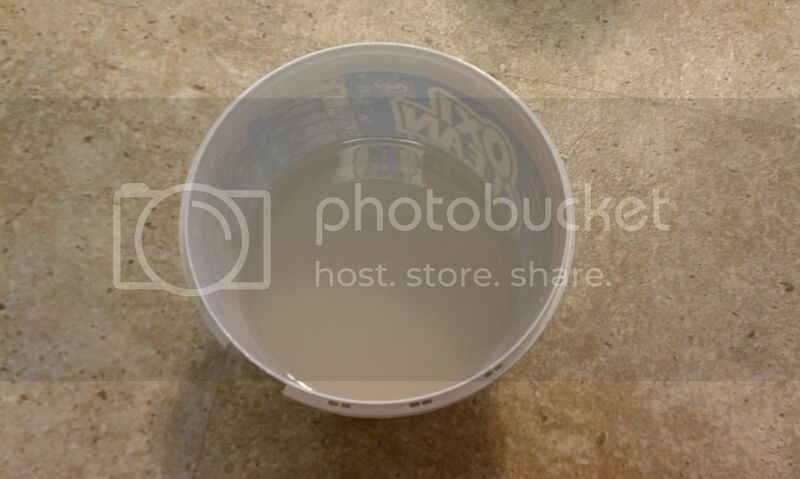 Check out these before and after pictures of the soaking water. Yikes! Look at how much gunk Ruby's Red Wash got out! I am convinced that Ruby's Red Wash made the cloth pads a lot cleaner and it definitely lightened the dried stains. Before you think that you don't need Ruby's Red Wash because you don't use cloth pads, Ruby reminds us that her wash is "for anyone that bleeds" at any time, for any reason. I'm pretty sure that's all of us! 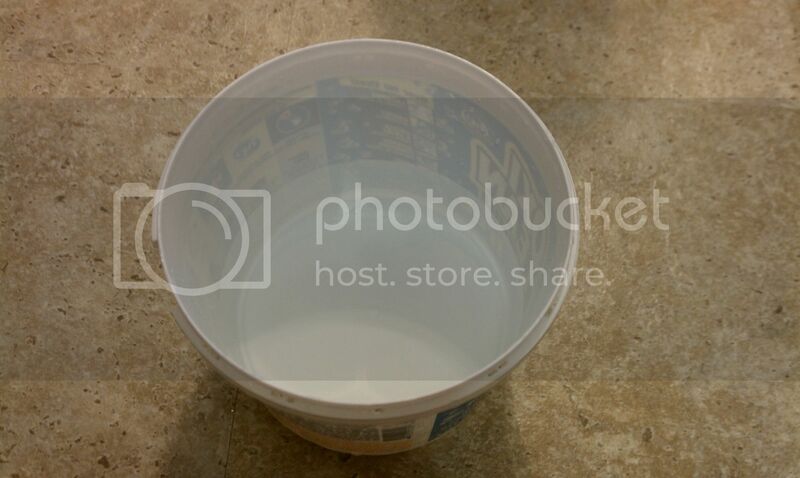 This cleaner can be used for all types of blood stains! My son had a cut on his finger and ended up getting blood on his pillowcase and sheets one night. Ruby Red Wash to the rescue! The blood is dried, but I have confidence that Ruby's Red Wash will get out the blood stains from his bedding. Check out Ruby's Red Wash on Facebook and Twitter as well! Right now through April 22, in celebration of Earth Day, we also have a giveaway for a bottle of Ruby's Red Wash and 2 Mama Cloth Pads!